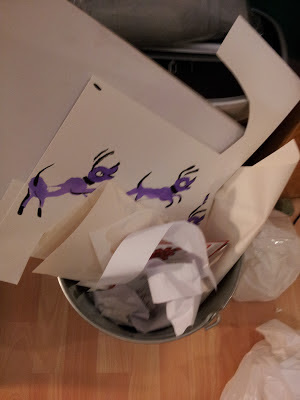 c) people get scandalised because I "cut up my artwork for no reason" and ask me why I don't work on nice clean sheets of paper that look great framed up. 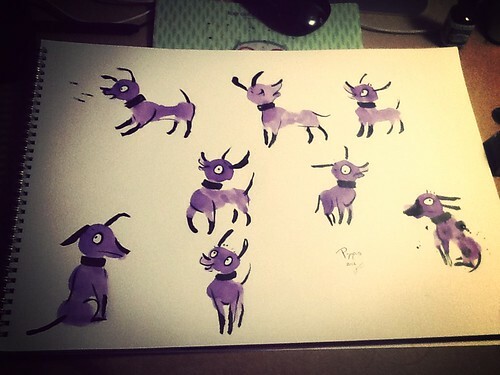 If I find a pose hard to get right, I paint about three sheets of it. If it's easy, I'll just paint two sheets. Sometimes I feel really sure of what I'm doing, then I'll just paint one sheet. ...and put the rest straight in the recycling. I sort through the "good" paintings and pick the one that works best in context. Sometimes there isn't one that's good enough, then I make a note, get on with something else, and redo the whole thing the next day. In this case I picked the dog at the bottom. The rest goes in a box. Sometimes I pick particularly nice characters from the box and collage them into original art for sale, but really only the best. The rest I might make into gift tags or some such. This really works for me. I could pretend that I just meditate and then do it beautifully right the first time, but I don't think that's helpful to other people trying to make art. Sometimes it's just a case of trial and error. I just replied to a request from an illustration student who wanted recommendations for drawing nibs that produce a flexible line. nibs. 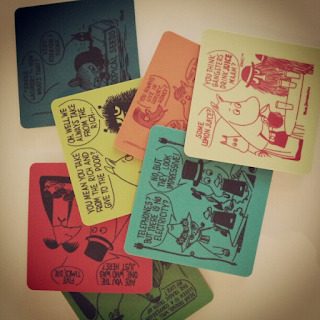 Dinkybox sells them in the UK. My Favourite Nib For Getting The Job Done. They need a special pen holder because they are smaller than standard. work it out it could be easy to use and really expressive. Lovely for fiddly hatching, too. important artist Making A Statement In A Few Lines. it, apparently it's sensitive and has huge variation in line. and it changed my life. Really good brushes are awesome. 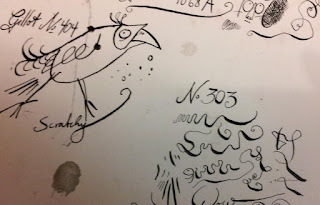 - a brush pen doesn't ink as expressively and messily as a real brush. fingerprints and smudges on my work. I generally use Winsor and Newton black ink, and for colour washes Dr Ph Martin's radiant concentrated water color. Here's a nice thing to watch: a BBC programme on London Wildlife. It has footage of extremely unexpected gutter-dwelling scorpions, hedgehogs hooked on coffee, falcons hunting around very familiar buildings, some dancing grebes, ducklings launching themselves off a high balcony, a Pelican swallowing a pigeon whole, and foxes hunting seagulls on a rubbish tip. And sparrows. I like sparrows. It's high time to paint the new cat book. 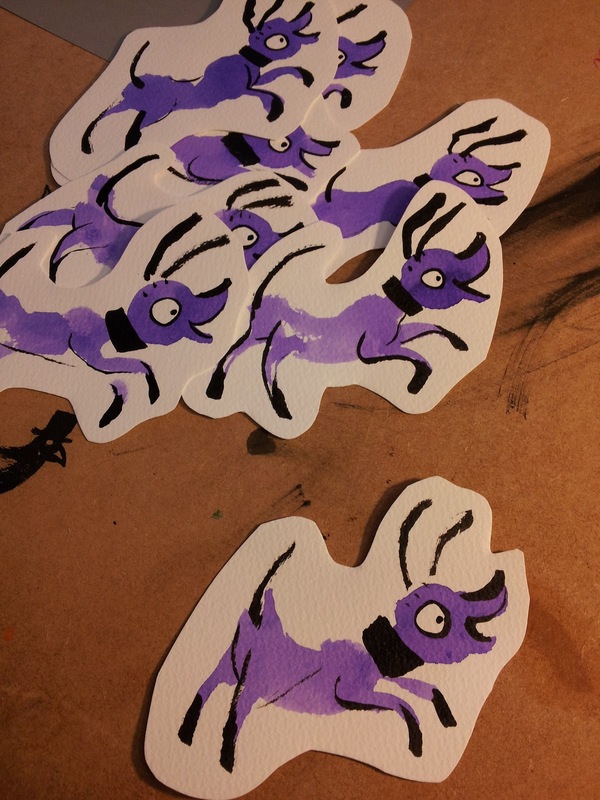 I decided to paint all the characters first this time because they will have to be sent off to be drum-scanned. 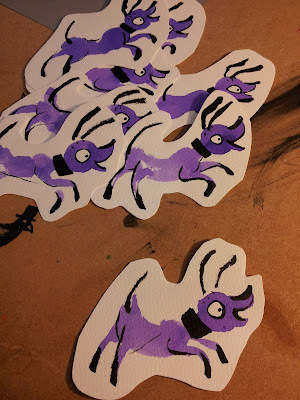 The rest of the book I can scan myself on my flatbed scanner at home, but the characters are painted on rough watercolour paper, and that doesn't scan right unless done on industrial grade equipment. 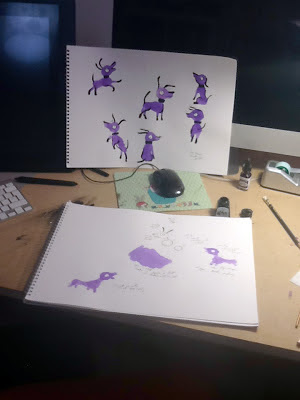 This is a photo of my first notes of the rules for painting the new character - a rather lively violet puppy. It is harder to paint than the cats because its body is more jointed, and it needs to be very cute, so its head is bigger and rounder than I'd normally paint it. More than half the time it goes very wrong. 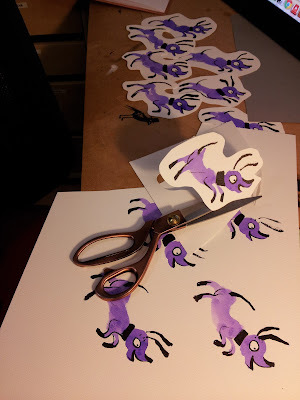 So I'll fill a few more sheets with dog exercises before I start on the actual artwork, otherwise I'll just use up all the good watercolour paper on lumpy puppies. The puppy is painted with two different brushes and my fingers, which is another complication. All the cat characters have their own brush and that's that, but brushwork looks too sophisticated for the puppy. It needs to be a bit smudgy and clumsy. So my fingers are going to be dyed violet for the next few weeks. I'll go off to Australia for a month in late February, and I need to finish this book before that. It should work out... I just need to get back into painting. 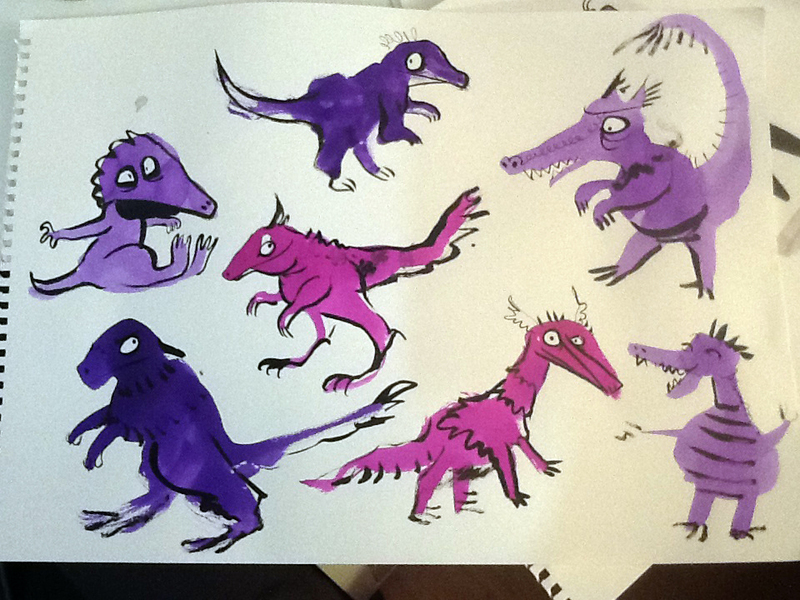 Today I made some warm-up paintings of dinosaurish beasts. As you can see, I'm a bit stuck on boring poses and all the parts don't quite hang together yet. That'll settle within a few days, as usual. I do actually have an idea for a book about dinosaurs, by the way, but it's unlikely to happen any time soon, I have other plans for 2013. And here's something for you to watch: "Flyboy and The Haunted Snowman", a beautiful little musical puppet show by Matthew Robins. Here's a list of new things I have planned for 2013. I've been working at Plymouth Uni as an associate lecturer for a while, and I noticed how much I enjoy having a workplace to go to. I also like having colleagues, sharing cups of tea over work, and seeing a variety of work going on. So this coming year I will get my dream studio - I started by renting a table in a lovely shared studio in central London, let's see how that goes. It certainly seems wonderful, with really nice people, a courtyard, paint stains, an old-fashioned image enlarger... I can't wait to start work there. I finished writing a novel some time ago, and I am working on another. It's always been my dream to be a novelist, and this year I will work towards getting one published. There's one coming out soon. 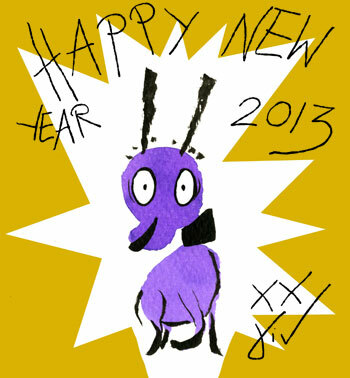 I am really pleased with it. This is very officially going to happen very soon indeed: the graphic novel I completed some time ago is about to be published. I put a lot into this one, work, care, dreams, memories and ideas... Sometimes I have a chat with some of the characters when I wake up in the morning, before I open my eyes. Of course. I'm just putting this here so you don't worry. There's one coming out soon that Alexis Deacon wrote, titled "Cheese Belongs To You". It'll be an exciting year. 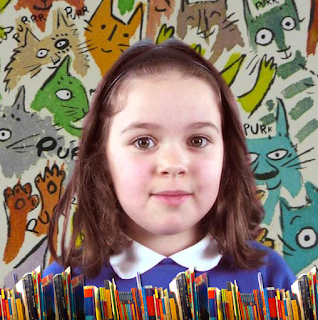 Here's a great video review of "There are No Cats in This Book" by a bunch of kids, filmed by Culture Street. 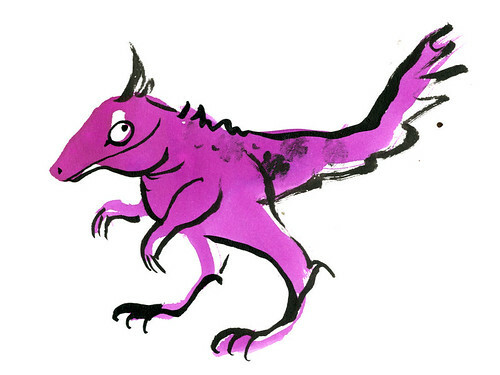 Square Lizard is an unexpected guest in an upcoming book. He is perfectly happy where he is, which is wherever you least expect him, as long as it's a cuboid space. He's very happy to be discovered, and happy to go hide again. He'd eat you but he's worried about his figure, so no need to worry, really. Today's treat: Moomin coasters. Just got them. 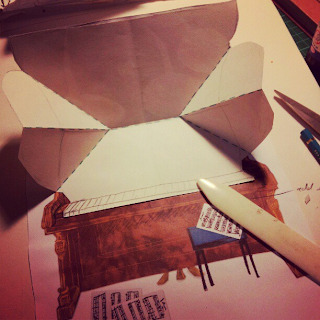 Today's challenge: how to make three cats pop out of a paper piano. (I finally solved it, this picture is halfway through the process).